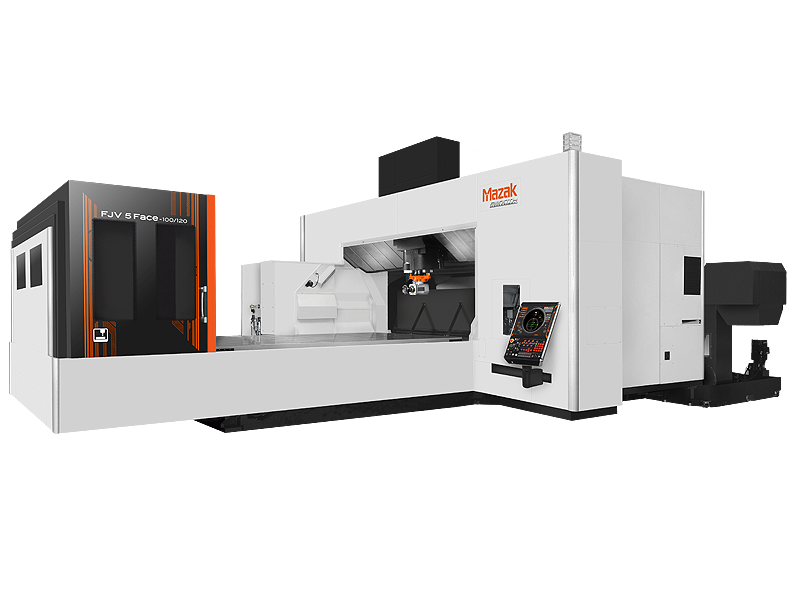 High-precision, high-productivity, double-column vertical machining center with an automatic tool changer. Machines all five faces of a workpiece in a single setup. Machining time is considerably reduced when compared to multiple-setup processing. MAZATROL CNC controls simplify programming for multi-surface machining. Its special design ensures extremely high-precision machining over extended periods of operation by eliminating the spindle overhang seen in C-frame vertical machining center design. Furthermore, the machine's ergonomic design ensures convenient loading/unloading of large workpieces and overall ease of operation.